Recently I posted a review for books 2 The Golden Bulls and 3 Sacrifices here and for book 1 A Life of Death a while ago here. Weston has the whole series available on Amazon and I wanted to share this with everyone. Introduction by 2016 Kindle Book Award Finalist Mark Matthews! Alex is a troubled teenager with a checkered past, a broken home, and a surprising ability: psychometry. When he touches items murder victims held in their final moments, he relives the events in gruesome detail. But who will believe a troubled teen, especially when murders implicate the town’s founding family? Heed the call. Buy A Life of Death. Introduction by Julie Hutchings, author of Running Home! Time, beliefs, and supernatural abilities collide in Weston Kincade’s thrilling sequel in the A Life of Death trilogy. In the end, the stakes couldn’t be higher… or more personal. 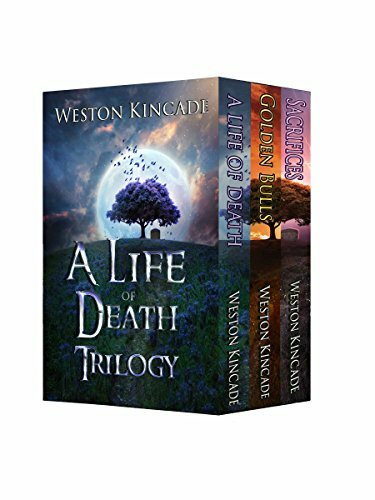 Psychometric powers combine in this thrilling battle for survival in Weston Kincade’s final book in the A Life of Death trilogy. The future of Alex’s hometown is at stake… but sacrifices must be made. Step up and buy Sacrifices today. If you would like to contact Weston regarding stories, publications, to schedule an appearance, or simply to say hello, he can be reached at wakincade (at) gmail (dot) com. In A Life of Death we are introduced to Alex Drummond as a high school kid with a crappy home life and the ability to touch a body and see its final moments. The Golden Bulls sees Alex fifteen years later as a detective trying to track down a serial killer that strikes every September 20 and likes to burn their victims alive. Sacrifices wraps everything up as Alex takes on a drug cartel and has a son that has abilities that rivals his own. Alex is an amazing character that rises from the darkness to become an amazing detective, husband, and father. He has an ability that is not exactly rainbows and sunshine but he does the best he can with it. He gets into a lot of tough situations but fights through and wins in the end. I loved this series and think Weston Kincade is one of those authors that everyone should read. His writing is very descriptive and draws you in. There is a lot of action and mystery that keeps you on the edge of your seat. 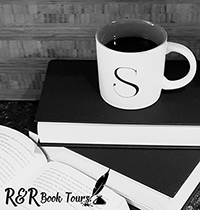 This is one author that you don’t want to miss out on. I received this series from the author for free. This has in no way influenced my opinion of these books.